What do L'Oréal's first female CEO in the company's 108 year history, President of Miss Universe, and the CEO & Founder of a company that represents high profile pro athletes, have in common? They are trailblazers in their industries, and have all been involved in Pageants. There are major awards shows for actors, athletes, and musicians, among others, but none that celebrates individuals internationally who have had outstanding achievements due to pageantry. NW Productions, a multi-media and entertainment company that produces live shows, red carpet events, women's empowerment workshops and other TV productions, announced today that it will host The Global Beauty Awards (TGBA), a first of its kind in celebrating pageantry, its leaders, and the accomplishments of the women who participate. The special event will take place Saturday, March 10, in Bellevue, Washington to recognize a variety of trailblazers who challenge pageant stereotypes and create opportunities for women. "There are major awards shows for actors, athletes, and musicians, among others, but none that celebrates individuals internationally who have had outstanding achievements due to pageantry," said Maureen Francisco, co-founder and executive producer of TGBAs. "The Global Beauty Awards will honor those who have been involved in pageants, many of whom have excelled in business, science, politics, entertainment and more." 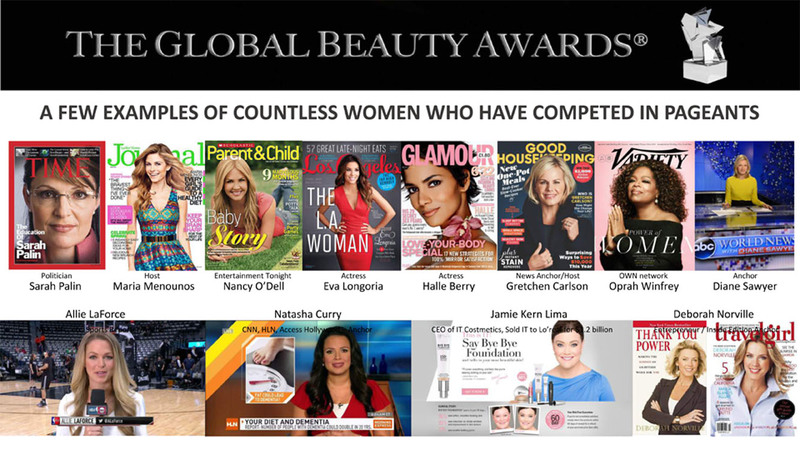 The Global Beauty Awards received nearly 400 nominations in more than 30 categories recognizing the best of the best worldwide from all pageant systems including former and current titleholders, contestants, makeup/hair stylists, coaches, directors, producers, fashion designers and many others. Additionally, Paula M. Shugart, president of The Miss Universe Organization (MUO) will receive the Lifetime Achievement Award for her accomplishments in empowering the 10,000 women who participate annually in the MISS UNIVERSE®, MISS USA®, and MISS TEEN USA® programs that provide an international platform to affect positive change through influential humanitarian and professional efforts. Throughout its history, The Miss Universe Organization has evolved into a powerful, year-round, global organization that advances and supports opportunities for women, as well as their philanthropic initiatives around the world. In addition to her role as president, Shugart is a mentor and role model to the company's three titleholders as they travel globally as spokespeople of MUO's charitable alliances in addition to their own personal platforms.